Get started the right way with Business Central. Use the system properly, to the full and get your journey to success going quickly. Many business owners struggle with the time it takes to run a business and the time they want to spend with their family and social life. Business Central will reduce your workload and let you work from anywhere, freeing you up to be where you want to be, when you want to be. Fast Financials will get you up and running with Business Central quickly and affordably. Fast Financials is an "out of the box" implementation of Microsoft Dynamics 365 Business Central. 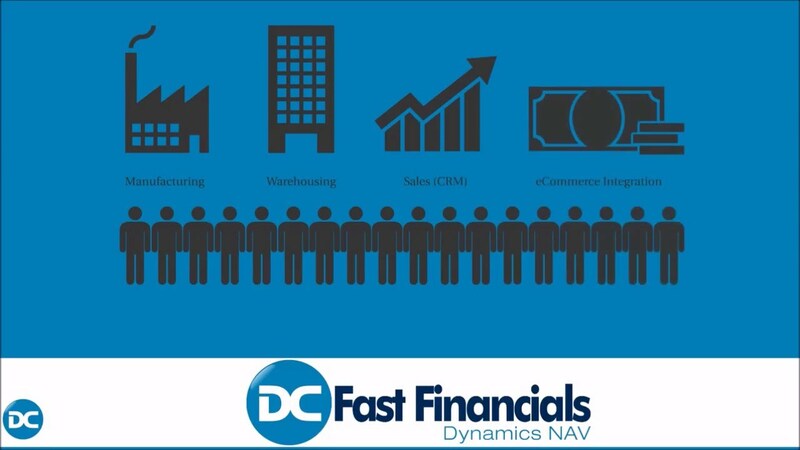 The Fast Financials solution from Dynamics Consultants utilises the areas of Microsoft Dynamics required to give small companies everything they need to start using a business software package, without the need for a lengthy and bespoke implementation project. Unlike some systems aimed at small companies, this implementation is used with the standard licensing, so when your company grows you can implement any of the functionality available with Microsoft Dynamics 365 Business Central. Get started as quickly as possible and use Microsoft Dynamics 365 Business Central to its full potential with our getting started packages. Training is provided as scheduled courses at our Southampton Offices. Where do you start with ERP? For companies new to business management software, to start with you just want an idea of price for a fairly off the shelf system. Because we have provided this standard repeatable solution, we can give you an immediate price rather than spend weeks trying to answer a lot of questions that you are not sure are relevant to you. The price is low too! By saving time and giving you a fixed chart of accounts, Word templates for your business documents etc., we are able to cut the project time right down, including implementation, which means a lower cost to you. What's the difference between Business Central and Fast Financials? Nothing! When you buy Microsoft Dynamics 365 Business Central, you are getting a large and configurable solution. The traditional method for implementation is for an engineered to order project, involving discovery, project management, etc. This is typically lengthy, costly and overkill for smaller businesses just starting out on a finance platform or moving from basic finance packages such as Xero or Sage. Fast Financials is just an implementation of Business Central. Taking the typical finance, sales and purchasing functionality that every small business needs, we have created a pre-configured setup package and provide regular scheduled training courses, so that you can get up and running quickly and affordably. Because you will be buying standard Microsoft Licences, we will be able to implement other features of the system as you require them. Will it Still Work When You Have Grown Considerably? The simple answer is YES! Although we are giving a "boxed" implementation, you will have access to all of the features of the standard Business Central licence, so when you need further functionality in your system we can work with you to implement what you need. In this way, the system truly grows with you, rather than getting to a stage where you need to spend a huge investment in time and money on a completely new system.